Goku, Cell, and Gohan. i belive 孫 悟空 is trying to brive cell. 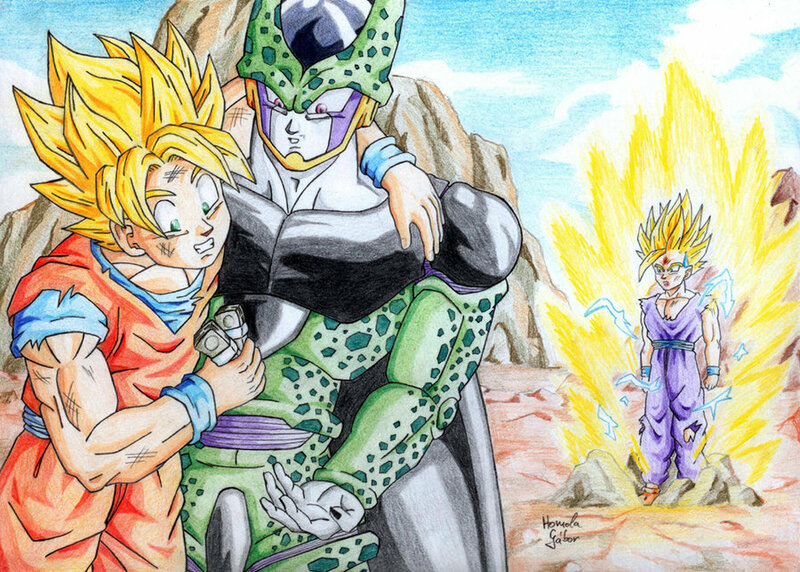 HD Wallpaper and background images in the ドラゴンボールZ club tagged: dragon ball z.
LOL FUNNY, LOVE THE DRAWING.